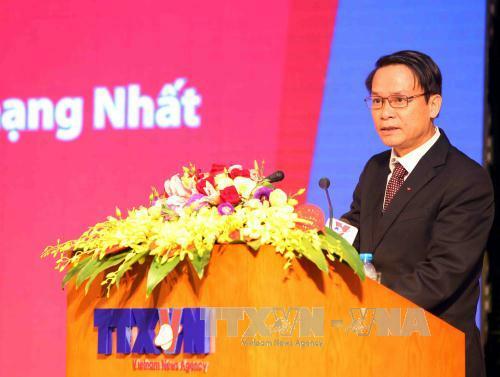 General Director Nguyen Duc Loi reflects on the path of the Vietnam News Agency (VNA), the official State news provider, since its establishment 70 years ago. On September 15, 2015, the VNA turns 70, marking a constant growth in stature of a national media agency named by late President Ho Chi Minh. Thanks to the tireless dedication and high sense of responsibility borne by generations of VNA staff, flows of mainstream news have not been interrupted in all those years. Less than two weeks after President Ho Chi Minh delivered the Declaration of Independence declaring the birth of the Democratic Republic of Viet Nam, on September 15, 1945, the VNA published to the world the full text of the document in Vietnamese, English and French. During the struggle for national independence, generations of VNA reporters and technicians went out to the battles, even to the fiercest fighting sites. More than 260 of them laid down their lives. When the country embarked on an era of industrialisation, modern-isation and global integration, the VNA also moved into the new period and made widespread breakthroughs in organisation, management and technology. The VNA has grown into a modern national media complex with a 2,500-strong staff working in 63 cities and provinces nationwide and 30 countries on all the five continents. It currently consists of 32 affiliates, including news units (five source news departments), publication and press bodies (one publishing house and nine newspapers), and multi-media units (a television channel and e-portal), together with five news support centres and two printing, trade and services companies. With more than 60 media products, the VNA is now the media office having the largest number of products and forms in the country: bulletins, photos, television programmes, dailies, weeklies, monthlies, magazines, pictorials, books, TV channel, e-newspapers and information programmes on mobile platforms. In order to fulfill tasks entrusted by the Party and State, the VNA has continually given heed to personnel training. Its more than 1,200 reporters and editors today are well qualified, showing a high sense of social responsibility and professional ethics. There are advantages and constraints ahead in the face of the current information boom which require VNA journalists to be active and proactive to deliver accurate, timely and well-oriented news amid "seas" of multidimensional information today. Over the course of 70 years, the VNA has made a journalism "chronicles" featuring Vietnam as a hero in the national liberation, diligent and creative in country development, and dynamic and hospitable in global integration. It has retained its position as a strategic and trustworthy information centre of the Party and State, a mainstream information source which guides public opinion, reinforced public trust in the Party and State and rejected wrongful allegations by hostile forces inside and outside the country. It has really become a vanguard on the front of thought, culture, information and communications. The agency also delivers news in a large number of languages. In addition to official Vietnamese language news provided for domestic and foreign media outlets, stories for foreign service are written in English, Chinese, French and Spanish, not to mention four other foreign languages, namely Lao, Korean, Japanese and Russian. They have so far reached audiences in 140 countries and territories, making the VNA deservedly entrusted with the task of spreading Vietnam to the world and bringing the world closer to Viet Nam. The VNA now maintains bilateral and multilateral partnerships with more than 40 international media agencies and is a member of the Organisation of Asia-Pacific News Agencies (OANA) and several other international and regional press organisations.